50+ facilities (and growing) throughout California. Click here if you'd like us to contact you about how we can help you too. CSH specializes in maintaining meticulously cleaned cubicle curtains and other fabric items in your healthcare facility. We also remove and re-hang, clean and repair and document all activities for easy verification during inspections. CSH repairs and alters cubicle curtains and window drapes. Frequently curtains mesh tops get hung up on the hardware and get torn. CSH can identify those curtains during a scheduled cleaning and have them repaired and returned in a short time. Let me just say, "Top of the Line Customer Service is all I have ever experienced with CSH". Every employee with whom I have ever had contact with in person, or on the phone has always provided me with a pleasant and gratifying experience. I know that I will always get nothing but the best from all who represent CSH. It is always a pleasure and makes my day when The "crew" shows up do do service. Thank you to all of CSH! Craig and Richard always keep in touch with me and go beyond there duties and I very much appreciate all that they do. Many businesses do not take the time to show excellent customer service anywhere near what you provide. Custom Service for Healthcare (CSH) is the leading provider of premium cleaning services for healthcare facilities in California. 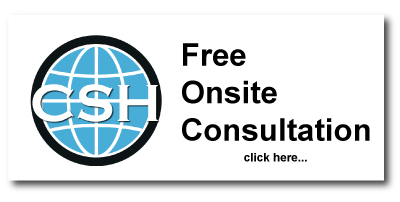 CSH will custom design a services package for your facility so you can focus on the other important responsibilities.